Freelancers, academics, local government and industry bodies across the creative industry in Wales have been invited to an exciting one day thought provoking event at Theatr Soar, Merthyr, this month (Wednesday 21st June) to discuss and explore the benefits of working together and forming co-operatives or co-working spaces for shared services. Hwyl Hub– a co-working space and community hub based in Merthyr Tydfil, started by a group of creative businesses and freelancers, including BECTU member Dan Harris, who share office space but also a collective vision to grow a community of creative start-ups within the local area. 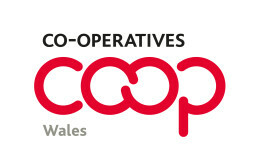 Hwyl is currently in discussions with the Wales Co-operative Centre regarding the potential for setting-up a Creative Co-op. Denbighshire Music Co-operative– following changes to local authority practices for engaging musicians in schools this successful co-operative, supported by the MU, set up by music teachers to provide tuition on a wide range of instruments and voice. Guest speakers include; Alex Bird of Cardiff University & Pat Conaty a Fellow of the New Economics Foundation (NEF) and a research associate of Co-operatives UK, co-authors of the Not Alone Report and David Barnard, Musicians Union and founder of Swindon Music Co-operative who has developed a toolkit for Music Teachers on setting-up a Co-operative. The ‘Not Alone’ report, a piece of research launched last year by Co-operatives UK, The Wales Co-operative Centre and Unity Trust Bank, identified the number of self-employed workers across the UK is growing significantly at approximately 4.6 million people i.e. 15% of the workforce. The research identified that compared to some countries these co-operative initiatives are in their infancy and that through trade union and other support there is scope for further collaboration through the Co-operative and co-working model. The Welsh Government has identified the creative industries as one of the fastest growing sectors in Wales. It has doubled in size between 2006-2015 with Film, TV, Video, Radio & Photography seeing 53.5% growth with 118.3% increase in music, performance and visual arts. A significant number of these jobs are via self-employment which has doubled during this time. “Following the launch of the ‘Not Alone’ Report by the Wales Co-operative Centre at the Wales TUC we contacted them to ask whether they would be interested in working with us via CULT Cymru, in exploring the potential for co-operatives and co-working in the creative sector in Wales. We have been approached on several occasions by union members wanting to find practical and innovative ways of co-working. We already provide business skills training for creative freelancers, small businesses and new entrants through our ‘Live Local Think Global in the Digital World’ initiative therefore it fits very well with our ethos and practice of encouraging sustainable work within our diverse communities throughout Wales. “Co-ops are a good flexible way of addressing issues that freelancers face; they can be used for supporting functions such as marketing and finance, and provide opportunities and environments for like-minded individuals to come together and develop creative processes and products.